Wedding photography has come a long way over the years. In the past, photos of the bride and groom often consisted of two people standing next to each other and smiling at the camera. Nowadays, we like to capture the intimacy and romance of the big day by letting the couple be themselves and create an intimate moment. These are often our favourite shots because of the obvious emotion and connection between the newlyweds. This shot in particular was captured at a wedding that took place in Owen Sound, Ontario. Although you cannot tell in the image, we had the happy couple standing out on the boardwalk overlooking Georgian Bay. 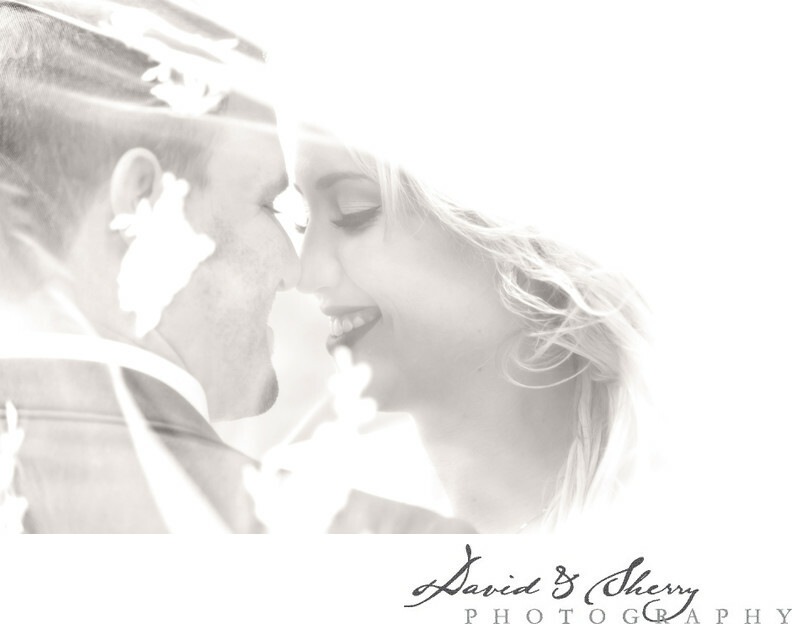 Placing the veil over both of their heads drew them in closer to one another and created the moment seen in this photo. Both of their faces radiate with sheer joy and love for each other; it is truly a beautiful moment between two people that would often go overlooked. We converted the image to black and white because it gives it more of an artistic feel. The contrast of the white lace veil and the groom’s black suit, and the detail of the bride’s flawless makeup are what make this photo one of a kind.